Pssssst. Want to know the secret of the perfect casual hors d’oeuvre? You know the one I’m talking about. Elegant, enticing and easy? Perfect for a crowd or an intimate gathering. With an endless combination of flavor possibilities? And all wrapped up like a little pre-meal present? 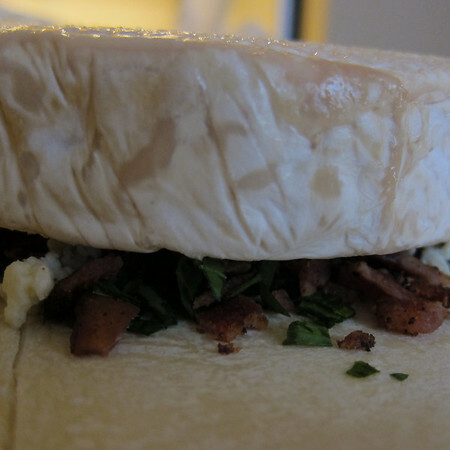 Well, allow me to introduce you to my little friend: the brie en croute. 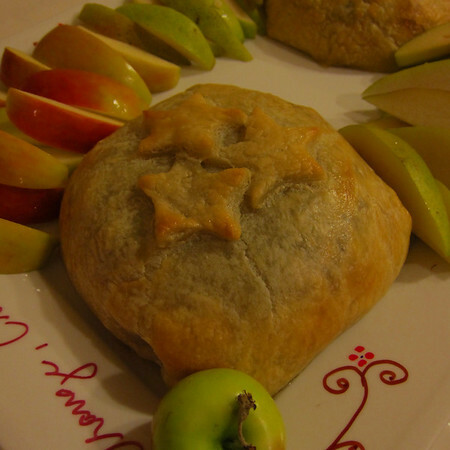 Do not give into the temptation of a frozen pre-made brie en croute. Spend 10 extra minutes, make it from scratch, and I guarantee far, FAR superior results. I’ve served it a time or two. Or ten. 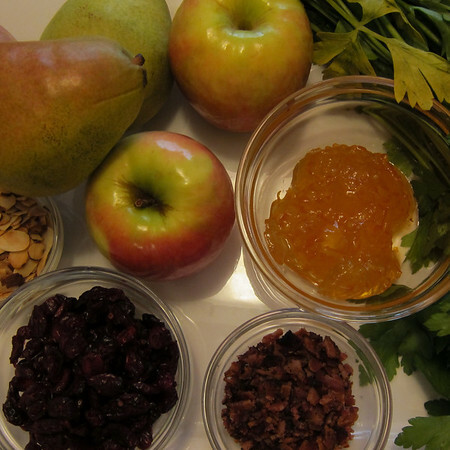 I’ve listed the basic recipe first. Then, at the bottom I’ve listed an array (though by no means exhaustive) list of add-ins. 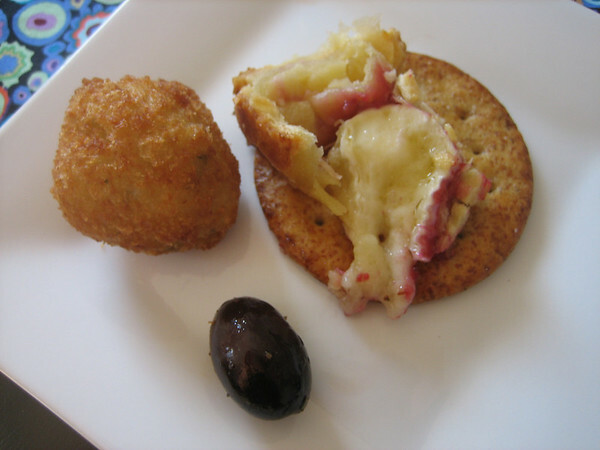 Assorted goodies to scoop-up the brie. Bread, crackers, fruit, blanched vegetables or a spoon all work. Remove pastry from freezer and allow to defrost for 35 minutes. Resist the urge to unfold it until it it defrosted. 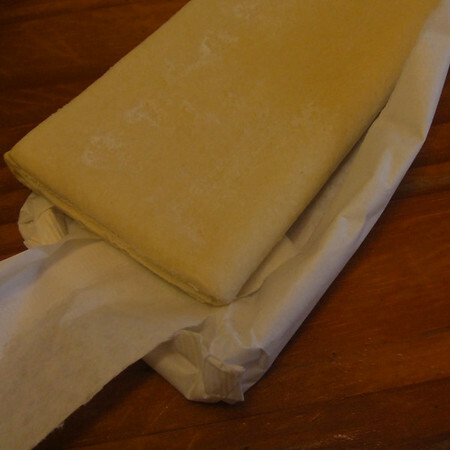 Once defrosted, gently roll-out puff pastry sheet along the edges so that the margins are large enough to fit over the wheel of brie with overlap. 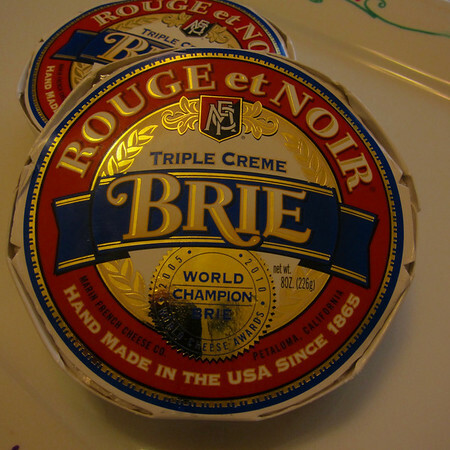 This will depend on the size of your wheel of brie. 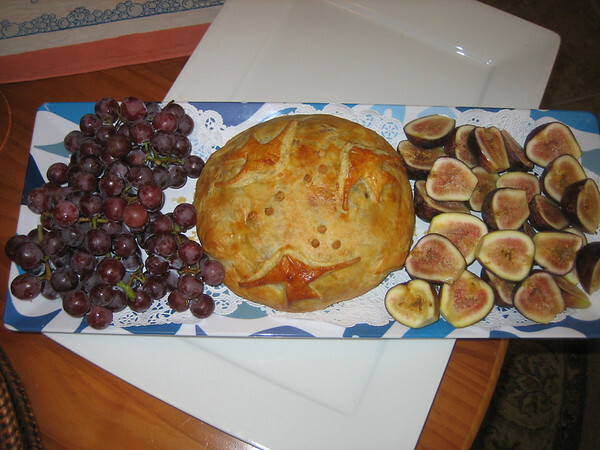 Place whatever fancy fancies you would like to add-in in the middle of the pastry, distributing to the size of the wheel of brie. Place brie on top of fancy fancies. Beat egg with water to create an egg wash. Using a brush or your fingers, wash the last two inches of the outer edges of the pastry. 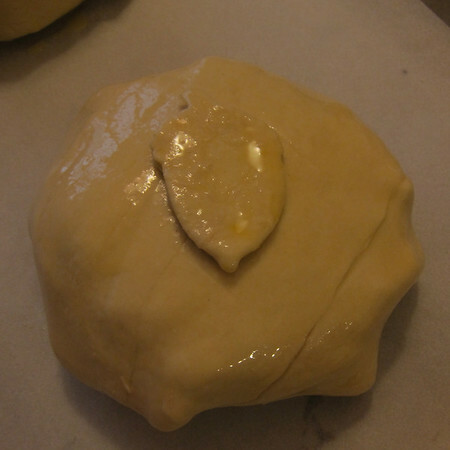 Starting with one corner, bring the corner across the bottom of the pastry so that it reaches across. Working around the wheel, gently pull the pastry ends across the cheese until you have a secure bundle. Brush with egg wash.
Keeping a finger or two on the seams of the overlap, flip the bundle and place it on a parchment-lined baking sheet. Brush entire top with egg-wash. Adorn as desired. 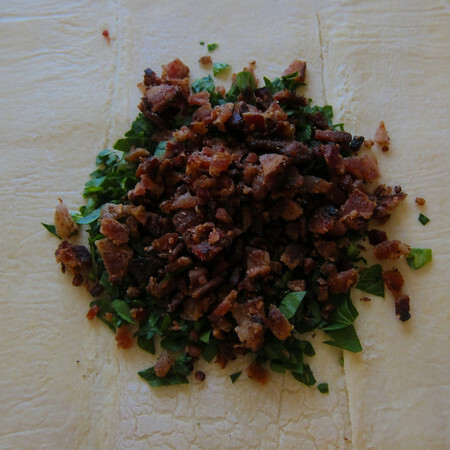 Bake for 20-30 minutes until the crust is puffed and top is golden brown. Plate as desired and let rest for about an hour. This part is very important. Right out of the oven, the cheese is liquid. It needs time to rest and slow to a warm lava-like consistency. Any kind of jam, jelly or chutney. Raspberry jam with toasted walnuts. Orange marmelade and dried cranberries. 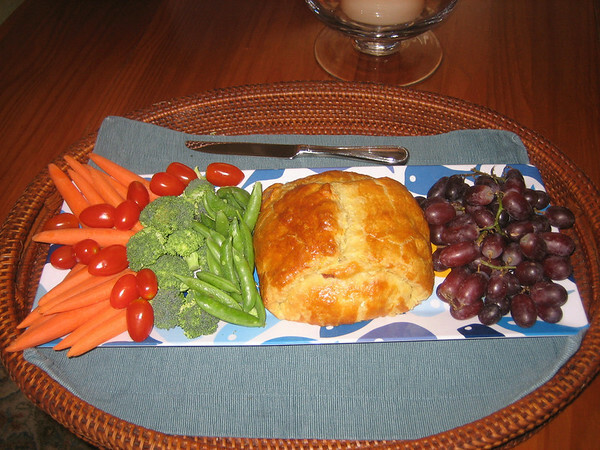 I’m so happy it’s the holiday season so I can eat brie and jam wrapped in puff pastry. Thanks for the tip on letting the baked cheese rest! Charles–I miss you too…how did we end up on opposites sides of the country? Shannon, it’s worse than opposite sides of the country! We moved to London a few months ago! Now we are many many many miles away . . . Can you send me your snail mail address so I can send you a holiday card? Email is coutcalt at mac.com. Thanks!